In many ways, this simplistic view on life hinders progress for SETI. Only a small number of all microbial species have been described. There are estimates suggesting that more than 1 trillion (1012) species of bacteria, archaea and microscopic fungi exist on Earth, orders of magnitude more than eukaryotes (some have argued these are a few million), particularly any “intelligent life”. There are perhaps orders of magnitude more prokaryotes in space which have yet to be detected. NASA has considered the search for biomarkers as an indirect detection of life and has also considered the impact of bacteria. Furthermore, on Earth we know bacteria (i) predate complex, intelligent life, (ii) played an important role in altering the composition of the atmosphere, and (iii) have left stromatolites and other geochemical features as the oldest record of life on Earth. In short, if we cannot find traces of the most common form of life, a form incapable of masking its signature from us, then how can we expect to find extraterrestrial intelligence? Rennie and Reading-Ikkanda, in a recent publication on Quanta Magazine, show the complexity of simple prokaryotes and, while not a SETI article, make the case that bacteria are dynamic organisms capable of adapting to their environment. The diversity of these organisms is shown in Figure 1. The authors first mention the discussing the ability of bacterial colonies to synchronize and swarm, much like flocks of birds or schools of fish. Under the microscope, the ability for precise movement is surprising, given the lack of differentiation in the organism (see Movie 1). Bacteria, particularly slime mold, are able to crawl around in search for a nutrient-rich environment with controlled secretion of chemicals to ensure (i) they do not explore a nutrient-deficient region and (ii) they grow asymmetrically. Biofilms, compact societies of bacteria, are able to grow in three dimensions and even on non-solid surfaces. In dense bacterial colonies, there is something analogous to differentiation where bacteria on the inside anchor in place, bacteria at the edges of the biofilm divide for growth, while others in the middle release spores for new colonization. Movie 1: Synchronized motility in bacteria. In a colony of E. coli cells, two silicone oil tracers exhibit synchronized loops. Source: Quanta Magazine. While the bacteria covered in this article require humidity and warm temperatures around 30°C, this is not the requirement for all prokaryotes. In the 1980s and 1990s, scientists began to discover that bacteria were robust organisms, capable of surviving in extreme environments not amenable to most eukaryotes. These so called extremophiles are capable of living in regions that would be otherwise inhospitable to life. Bacterial spores are also fairly robust and it has been theorized that life on other planets in the Solar System could be seeded from extremophiles ejected from Earth or Mars. Table 1 shows a few examples of extremophiles from the NASA Astrobiology Strategy. There is also genetic evidence that the last universal common ancestor is a thermophile (a subset of extremophiles). The search for life should begin with the most common organisms known to us, bacteria. If scientists can detect extraterrestrial bacteria (e.g. on other bodies in the Solar System), the case for SETI would be much stronger. If bacteria could exist elsewhere, then presumably they could be the precursors of more complex life. This could then be used as a bolster to SETI’s claim – if there exist simple organisms outside of Earth, why should anything prevent “intelligent life” from evolving? As it stands now, SETI’s focus on “intelligent” non-microbial life seems specious at best. The arguments presented by Wright do little to inform the reader why “stupid life” should be more difficult to detect than tenuous technosignatures. SETI itself is not informed by biology or chemistry and it seems unclear to this blogger why it should even be considered astrobiology as opposed to astronomy. Until SETI can motivate why one should search for rare life when the most common form of life appears non-existent elsewhere, it will remain a commensal offshoot to astronomy. The authors of Rennie et al. (2017) paper think microbes are not so different from robots designed artificially with the capability of responding to the surrounding environment. The authors first argue that the slime mold has a sense of intelligence by advancing towards in the direction with more nutrients by pumping cytoplasm in that direction. Additionally, slime mold has the ability of leaving chemical trails which reminds it places not worth visiting. Further, the authors discuss the intelligence of bacteria, especially biofilms. First, they argue that biofilms have sophisticated structures which allow them to absorb nutrients nearby as much as possible. Moreover, the cells in biofilms have different functions depending on the location of the cells in the biofilms. Similar to slime mold, biofilms have the capability of moving towards locations with more nutrients by secreting materials which help them move more energetically and more rapidly. Additionally, biofilms have different spiral migration pattern depending on their genes. Biofilms also are intolerant of other strains so they develop boundaries between each other when forming. I especially enjoyed this reading, because it comes from a vastly different perspective than the majority of the other readings we have done for this course. In particular, it encourages an expanded view of what intelligence and awareness can mean, opposing the common SETI pitfall of an overly-anthropocentric perspective. This paper is not specifically explicitly related to SETI, but contributes a valuable scientific perspective to the broad question of extraterrestrial intelligence. The authors discuss the collective behavior of individual cell organisms and present a variety of examples where the cells work together in a group (biofilm) in intelligent ways. The cells within a biofilm often differentiate to perform a variety of functions that serve to benefit the collective group. For example, the cells in some biofilms organize themselves in elegant structures so as to maximize oxygen intake and waste release. Other biofilms expand out in spiral or filamentary patterns to explore the surrounding environment for nutrients. These explorations sometimes leave behind a slimey residue, effectively “marking” the path and building a collective memory of areas that are rich in nutrients or areas that should be to avoided. While this concept of life is very different from what likely first comes to mind as intelligent or aware, there are a number of reasons why such a form of intelligence may flourish. The authors suggest that the betterment of the whole may outweigh the sacrifices of its individual members. Additionally, the differentiation of tasks could allow for individual benefits to go along with the sacrifices. For example, cells on the outer part of a biofilm may have to divide frequently for growth, but may have the best access to oxygen, while cells on the inner part may have to release spores to seed new biofilms, but may enjoy longer lifetimes than their counterparts on the outer reaches. It is important to keep an open mind about what extraterrestrial intelligence may be like as we conduct our search for its evidence. Making overly strong assumptions about the nature of a supposed extraterrestrial intelligence (in particular, its similarity to us) may lead us to overlook signatures that we are not receptive to finding. The authors suggest monitoring the changes in brightness with distance for a set of Kuiper Belt Objects (KBOs). Naturally illuminated objects will have a slope of -4, due to the inverse square law affecting both the light incident on the object, and the reflected light traveling to us. However, the slope will be less than -4 (and greater than -2) if the object is artificially illuminated (i.e., producing light on its surface). Therefore, monitoring the changes of brightness with distance for KBOs may be a viable approach to finding Solar System artifacts. I am skeptical about the efficacy of this approach, as there are a number of natural factors (aside from changing distance from the Sun and us) that may cause an object’s brightness to change, as the authors explicitly mention. Some of the specific factors raised by the authors include a changing phase angle (due to Earth’s orbital motion), rotation of objects with nonuniform shapes or surface albedos, or occultations by nearby objects. Another issue is the extremely long periods of KBOs, so a long temporal baseline is required to measure the slope of the relation. Further, the artificial light must persist for an incredibly long time. While the practicality of this idea is questionable (perhaps to put it generously) the originality makes it very worthwhile. Wright (2017) explains that that searches for ETI should include searches within the solar system. He argues that it is a good place to look (either for extant or extinct life), because it is near the only place we for sure know harbours life, Earth. He argues that life could have arisen on other bodies in the solar system (namely Venus, Mars, maybe the moon, the icy moons, and possibly asteroids or KBOs), and mentions that it is even possible that a prior species on Earth arose before humans that was intelligent. I agree with many points in this paper. I believe that SETI should include solar system searches, especially because of the data we already have for many of the bodies. This links back to the argument by Davies and Wagner (2013) that SETI should be done not based on the possibility of discovery, but based on the time and effort the search would take. Solar system searches take remarkably less time since the objects are closer to us. Wright points out that Venus could have been a good host of life before it lost all of its water and went runaway greenhouse. Unfortunately, Venus has such a young surface from its volcanic flows that any evidence older than a couple hundred million years would be completely erased, and any evidence prior would likely be erased too. Mars is a decent target since it was probably wet once and capable of hosting life before it lost almost all of its atmosphere, but weathering on its surface is decent and any artifacts would probably be covered by now. Other objects in the solar system and their associated datasets should be searched for technosignatures though. That being said, there is a point in Wright’s paper that I very much disagree with, and that is the possibility of an intelligent species before humans. While I will grant that the fossil record is horrifically incomplete, one flaw I find in this suggestion is the need for oxygen. Our planet was very anoxic before about 500 million years ago, and the rise of life is highly correlated with rising oxygen levels. While any life could have been anoxic, most astrobiologists search for life that requires oxygen since it is the only life we know. Wright is calling for an analysis of ancient facies in search for technosignatures; I think this exceeds the “low cost” criteria, especially given that a successful search requires the assumption that any life inferred did not require oxygen. On top of that, although the fossil record is lacking, there is no indication of any line of evolution that was anoxic, nor evidence of a rise in intelligence that went extinct (unless we include intelligent dinosaurs?). This suggestion just seems fanciful to me; although it would be kind of neat, we have absolutely no reason at all to believe that such a species arose, no evidence of anything that could destroy such a species (except maybe KT? ), and any intelligent life would need to be anoxic and would defy our current understanding of life. 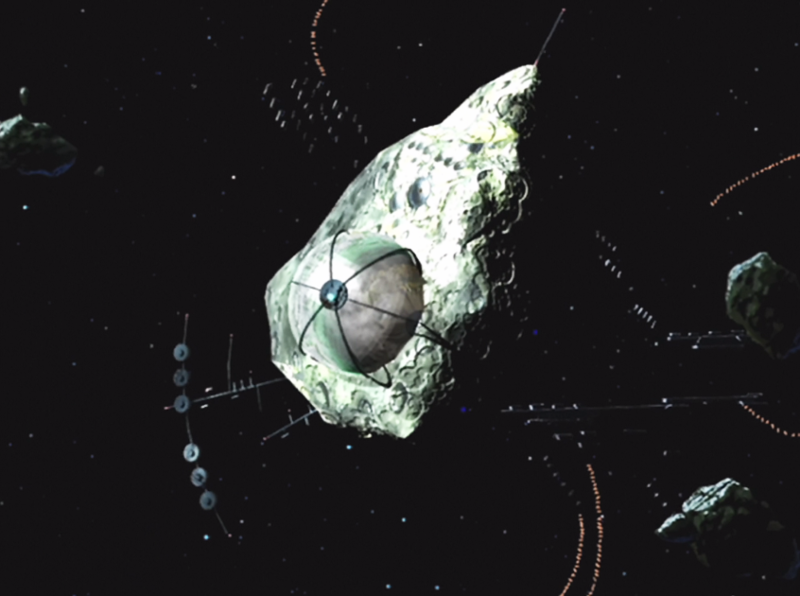 I don’t really know why you would want to build a city on a Kuiper Belt Object (KBO), but then again, I’m not an alien. Loeb and Turner (2012) make an argument that artificial lighting could be a good universal “lamppost”: something that all technologically advanced species would do so as not to be subject to the whims of a diurnal cycle. I can think of quite a few problems with that: a species that evolved in a sub-surface ocean, species on tidally-locked worlds that never had a diurnal cycle, the ever-popular “post-biological life”, etc. But okay, sure, let’s say everyone needs street-lamps. With current technology, we would be able to detect artificial lighting (on the scale of a large terrestrial city) on KBOs in our own solar system. Regardless of plausibility, that’s pretty cool! That part is in bold because it’s obviously the way this paper came about. I don’t think there are any good arguments for why KBOs are the best place to search for extraterrestrial life. I’m open to being proven wrong, but the paper reads as a fun thought experiment based on a new technological capability rather than any serious suggestion for how humanity can find another intelligent species. The authors discuss a characteristic “flux-distance signature” that an artificially illuminated object would have. Based on a double r^2 relation (one in sunlight reaching the object, one for the backscattered light), a KBO that’s just reflecting naturally due to its albedo should increase in brightness by a factor of r^4 as it comes closer to the sun. Meanwhile, an object dominated by artificial illumination would only increase by r^2 as its source of luminosity approaches. Thus, if we notice any objects with this r^2 relation, we should really take note because that would be really weird. The authors also discuss caveats and confounders of this idea (phase angles, outgassing, albedo variations, rotation, binary companions…), but indicate that all of these should be periodic with the exception of outgassing and should average out over years of observation. They also briefly talk about how this idea could be applied to exoplanets (with phase curves and such), but it doesn’t seem like the the technology is there yet. This definitely felt to me like a good example of Davies and Wagner’s proposal of cost before plausibility in SETI work (discussed in a previous post). They outline the logic behind the method pretty well, but if they were actually interested in the results instead of the theory they should’ve looked more into which pre-existing datasets could be used to attempt this kind of work. Because if someone* was interested in actually testing this idea, and not waiting for LSST etc., it would be nice to be able to hit the ground running on it. As I indicated in my first sentence, I don’t really see a reason why there should be artificial lights on a KBO. They’re cold, they’re small, they don’t have thick atmospheres, they have no access to non-Kuiper Belt resources (what, you wanted something other than ice and dust? ), etc. That said, if the search is easy to do and we can clear out some parameter space… perhaps it’s worthwhile. In this article by Loeb and Turner (2012), they propose the search for artificial illumination around Kuiper Belt objects on the outskirts of the Solar System. This would be a search for technologically advanced ET in our vicinity. As one can see when flying at night during take off or descent into a big city, humans like to lengthen the duration of the ‘daylight’ using artificial light sources of lighting. Since our circadian rhythms have evolved to sleep when the Sun goes down, our eyes are not sensitive enough in low light conditions (night). Therefore, we try to illuminate our surroundings using fire and electricity for us to extend the hours we can work / recreate (or do anything), apart from sleeping. Since we as a species are very wasteful with little to no collective foresight, most of our sources of illumination are such that a huge fraction of the light they produce is wasted and radiated out into space. Below is an image which shows what the night sky looks like over various points on the Earth’s surface. This is an image created by piecing together numerous snapshots by NASA. In this article, the authors propose a search for similar lighting around Kuiper belt objects (KBOs). Why KBOs? Perhaps since we have already looked at the moons of Jupiter and Saturn to rule out such ‘city’ sized illumination. However, I do not see the utility of such a search. A KBO at about 50 AU would experience about 0.04% the Solar Flux we receive on Earth. Would sunlight really be an efficient source of energy for a civilization there? What are the alternatives? Chemical or fossil energy also relies on a primary energy source which is Sun in the Earth’s case. An advanced civilization cannot directly start using nuclear energy. Therefore, barring solar energy, there is no energy source that a primitive life form can utilize and evolve along. Even if one argues that the amount of sunlight is sufficient for species to thrive (like deep in the ocean) or caves on Earth, then the question arises can it sustain an intelligent civilization like humanity with a power hungry ‘brain’? 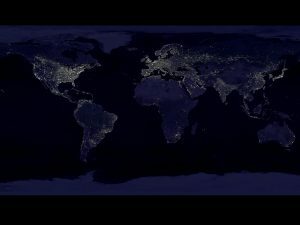 Moving on, if we argue that evolution is the mode by which life forms and transforms into intelligent life; then why will a ET civilization need bright Earth like lighting during their night time? 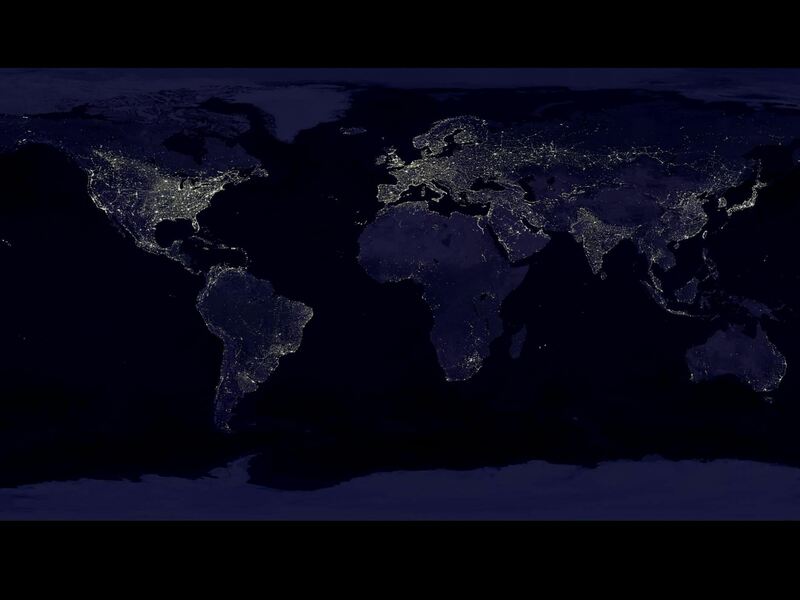 Humans do not have night lights around their homes and cities which are 2500 (50AU ^2) brighter than our daylight. Our rods and cones will just saturate and perhaps even get damaged under such intense illumination. Further, from our line of sight (Earth) the KBO will ALWAYS have day time. Since the side facing us is to a good approximation, the side facing the Sun. Unless they want to artificially brighten their day side, we will not be seeing anything. Plausibility of evolution of intelligent life on a KBO. The need for such bright light for an ET on KBO. We are always seeing the day side of a KBO from Earth. Hence, I think such a search should not be conducted. Some of these points are mentioned in the conclusion of the paper, and it is correct that we cannot predict the nature of another civilization or its biology. However, the basic laws of Physics and Chemistry are universal. When people consider intelligent life, they often picture humanity. Most would not contend the fact that humanity is the only intelligent species on Earth. However, have we exhausted the search for traces of ancient, intelligent species? That is to say, have we considered the possibility an intelligent species existed millions of years ago, on or near Earth, with comparable intelligence? Jason Wright notes the dearth of literature on “indigenous technological species” in his recent paper. He contemplates that a search for Solar System artifacts can serve as a vector to answer the perennial question of whether life exists elsewhere. Wright begins by providing a history of the search for extraterrestrial intelligence (SETI). Conventional SETI prioritizes interstellar radio signals, waste heat, or other methods to find life in the form of extraterrestrial intelligence. Within our local neighborhood, the search is biologically driven, focusing on the search for microorganisms on moons or biochemical markers as proxies for life. Wright makes the case to search for artifacts within our Solar System. While the exact probabilities are unknown, Wright postulates it should be easier for the origin of any artifacts or technosignatures to “be local, [rather than] an extraterrestrial species crossed interstellar space and deposited [it] here”. Given this, he coins the phrase “prior indigenous technological species” to convey an ancient species dwelling in the Solar System. Such a species possessed high intelligence but has since become either extinct or left the Solar System. Any artifacts from this species could remain here to inform us of their past and Wright argues there are various locations to search for these artifacts, even on Earth. Many may argue the post-Cambrian fossil record should remove all doubts of another intelligent species, particularly due to the existence of endocasts. However, it is impossible to unambiguously gauge intelligence and cognitive ability from the fossil record. Wright also mentions the “Earth is quite efficient, on cosmic timescales, at destroying evidence of technology on its surface”. Geologists do believe there is a technosphere which might leave impact on the fossil record. However, artifacts on billion year timescales would probably be destroyed by tectonic processes and, at best, one could probably detect unnatural isotopic ratios. There is also the question of magmatism on an early Earth-like planet. While the oldest crust is 4.4 billion years old, the early Earth suffered from magmatism. The modern continental crust, along with plate tectonics, would have emerged much later, potentially eradicating any traces of earlier intelligent life. Wright appears to favor searching in places with little surface restructuring (unlike Venus), such as Mars, and suggests the subsurface should be searched. Other areas of interest are old objects such as asteroids or Kuiper belt objects. Exactly what type of life would persist to leave artifacts is not mentioned and this warrants consideration given the climatic changes on Earth (and Mars/Venus). Wright’s hypothesis could read as a script for a video game like Halo. The fact that his hypothesis can reflect science fiction (or a video game) does little to bolster a search. Furthermore, this paper is easily distorted, perhaps unfairly and to Wright’s distress, to make a claim that aliens existed in the past (see here, here, or here, for less low-brow articles see here or here). This concept of an indigenous technological species is as plausible as dragons or unicorns. There is no evidence against either mythical creature, but this has not fueled a search for them. To this blogger, it is not apparent how one searches for an artifact or technosignature. We assume it is something readily disentangled from nature, but we are limited by our anthropocentric machinations. It is unsettling to form argument where (i) the answer may be beyond recognition or (ii) a conclusion is that all evidence was simply destroyed. Furthermore, it appears that a non-detection can be rendered insignificant as one could always imagine a different condition for artifact preservation. If one’s hypothesis is not testable, then it does not merit scientific consideration.